Manufacturing is a tough environment for machines. The dust, chemicals, and sharp parts found in many manufacturing facilities take their toll on machinery. Often times companies will take the care to maintain and protect the large multi-million dollar machinery in their facilities but forget about keeping up with maintenance on smaller machines, like conveyors. Conveyors serve a variety of functions in the manufacturing process and are invaluable in keeping products moving from one part of the facility to the next. They can be used to move scraps or parts out from underneath or in machines, move parts from one machine to another, and more. During these applications, conveyors can incur a lot of wear, especially to their belts. In manufacturing applications, belts can become cut from metal parts dropping on the belt which can cause premature tearing or breakage. In addition, the conveyor belt can become saturated, via cuts in the belt, with die lube or other solutions used in the process, causing belt slippage. These problems, and more lead to more frequent repairs resulting in costly downtime and extra maintenance costs. 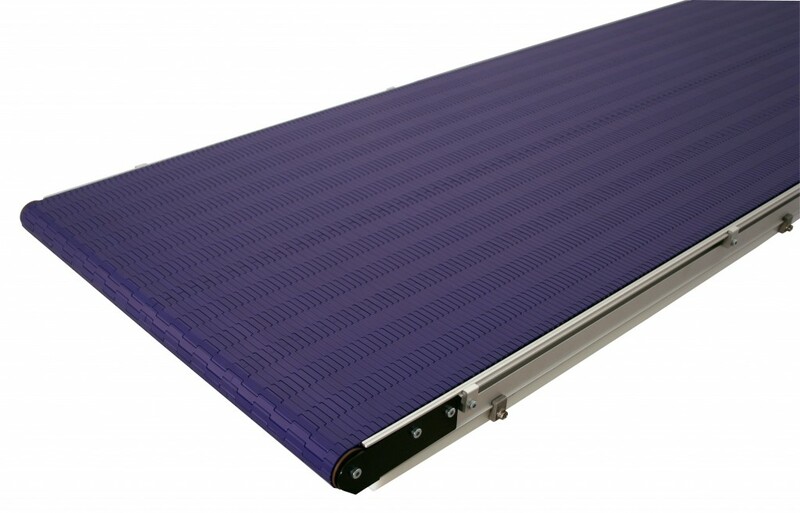 One way to help reduce belt wear is to use conveyors with Modular Plastic Belts (MPB). These belts are similar to regular belts but are made with a series of very durable, interlocking plastic sections which are highly resistant to cuts, tears, or fray. One great advantage to using MPB is that if part of the belt gets damaged the affected part can be easily be removed and quickly replaced without having to replace the entire belt. Another benefit is that the belts are driven by sprockets allowing for more accurate belt tracking and less tension needed on the belt. These belts, like regular belts, come in a variety of types like open mesh, heat and chemical resistant, accumulation, cleated, and with sidewalls. All these features make MPB an excellent choice for the harsh environments found in manufacturing facilities. Dorner’s MPB options offer a great solution to the problem of premature belt wear caused by the harsh environments of industrial applications. With their durable surfaces and ease of repair, they help to lower the frequency of repairs and costly downtime.